There are two easy-to-use, feature-rich and modern online server management panels. In my opinion, the leaders in 2019 are RunCloud and Moss. Here’s my quick review and RunCloud VS Moss rundown! You can trial RunCloud Pro free for 20 days with this referral link. After the trial period, either revert back to the free plan or continue with a $10 monthly pro plan or pay yearly at $100 for the whole 12 months. As for Moss, their free trial is 14-days long and the cheapest, most basic developer plan starts at $15/month or $150/year. So it’s definitely more expensive. On both Moss and Runcloud, you can manage an unlimited number of servers for the same price. Unlike ServerPilot for example, where you pay per VPS. Reviewing the features, looks and usability of both services, Moss comes close, but it still charges extra for additional features. Even really basic ones, like server monitoring & alerts, which triple the price tag. And I was surprised to find out that Moss doesn’t support backups. With RunCloud you can easily backup your sever, and web applications, as well as get all the possible features with one single, affordable pro plan subscription. And they keep on pushing new features too, listening to feedback from users. Also, the $299/month price tag to run Moss with Amazon or Google servers is not really worth it in my opinion. But the developer plan supports Vultr which is one of the most affordable VPSes around, as well as DigitalOcean of course. RunCloud will work with pretty much any VPS platform, and if not, get in touch with support and I’m sure they’ll do their best to help you out. Both provide all the goodies like, quick deployment of WordPress, free SSL certificates, team accounts, GitHub deployment.. and both run on Ubuntu. Moss is a great “virtual sysadmin for web developers” but expensive and only above-average in it’s range of features in comparison. If working on big projects, with big funding and need for priority support. Perhaps they are worth a try though! But fact is, that RunCloud is the most forward thriven PHP web application & server management panel today, with it’s intuitive platform that is being constantly developed with new, extensive features. And considering their affordable price tag, it’s hard to compete with them. For example, at the time of writing Moss has still stuck to Ubuntu 16.04 support, and RunCloud is now also supporting 18.04, as well as all the latest versions of PHP. With them, you just know that you are on the edge of web & server development. Click here to grab that 20 day free trial offer, only with this link. Enjoyed the review? Let us know your comments. 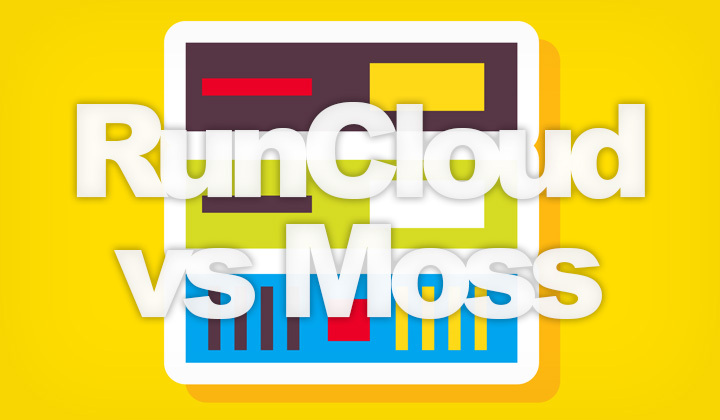 Or who do you think is the RunCloud VS Moss winner? Thanks for your visit and reading, Tim. And we are not affiliate with moss.sh, but there is a referral affiliation with us and runcloud.io which provides monetary benefit if you choose to sign up with them. Clear your cookies if you don’t want to support me, but I’m super thankful if you can! Previous Does SiteGround Have Free Hosting or Free Trial?